A hashtag is a type of label or metadata tag used on social network and microblogging services which makes it easier for users to find messages with a specific theme or content. Users create and use hashtags by placing the hash character (or number sign) # in front of a word or unspaced phrase, either in the main text of a message or at the end. Searching for that hashtag will then present each message that has been tagged with it. For example, on the photo-sharing service Instagram the hashtag #bluesky allows users to find images that have been tagged as containing the sky, and #cannes2014 is a popular tag for images from the 2014 Cannes Film Festival. Hashtags can be used to collect public opinion on events and ideas at the local, corporate, or world level. For example, searching Twitter for #worldcup2014 returns many tweets from individuals around the globe about the 2014 FIFA World Cup. Hashtags have been used for social activism. The Twitter hashtags #notallmen and #yesallwomen were used to debate misogyny after the 2014 Isla Vista killings; while the #illridewithyou hashtag was created to tag messages of support for Australian Muslims using public transport after the 2014 Sydney hostage crisis. Because of its widespread use, hashtag was added to the Oxford English Dictionary in June 2014. The term hashtag can also refer to the hash symbol itself when used in the context of a hashtag. When I FIRST started to hashtag, I did it wrong. LOL I had someone correct me! Since then, I have seen the power of a hastag. For instance on Instagram, someone started the hashtag #jameslottjr and now it has taken off. One of my TV show co hosts went to look me up and was impressed that I had my own hashtag. I LOVE funny hashtags or IMAGINATIVE hastags. #imoldandmykneescrack #ivebeencalledworsebybetter BUT I also know a hashtag can bring you attention and help your business/brand! I have a hashtag that HAS taken off and I am pondering what to do next about it! On my summer TV show, ZOO Aftershow on Afterbuzztv, my co hosts Cameron Louis,Jordana Morfin and I were talking about the show and I had read the book and I mentioned that there are no monkeys on the TV show yet. Where are they?? And the hashtag #watchthemonkeys was born. IT HAS TAKEN OFF!!! I am so surprised and delighted! The power of TV and words! Zoo has been renewed for a Season 2!! Stay tuned to the #watchthemonkeys brand, more to come…. Its been a awhile since I’ve posted. I have been extra buys with new projects or existing projects that suddenly have moved forward. It is an EXCITING time for ME and my production company!! People are wanting to work with me! That is a great feeling. It is a nice feeling. I love to collaborate! Working with others towards a product can be very rewarding. I like bouncing off ideas and agreeing on a concept and putting it together. They have their strengths and I have mine and we find a way to build and work together. It’s a different high then working alone. Also when people want to come on to YOUR project and are willing to do what you need, its great too. They share in helping you get your vision. I am so blessed and fortunate. I want to publicly THANK everyone who is in my orbit right now! One of the new projects that I am involved with is with the guys at DeadXRadio. They are a great team out of Florida. Jeff, Chance, Sean, Patrick and John are my buddies and are fans of horror, sci-fi, and paranormal. WE are shooting a pilot for a TV Show and more! I’m excited for this venture. It should be fun! Check them out! I also have a NEW TV show coming out! Its an old show that I have been asked to REVIVE by Black Hollywood Live network! President Derrial Christon is a great guy and I am honored to work on AfterbuzzTV’s African American Network! 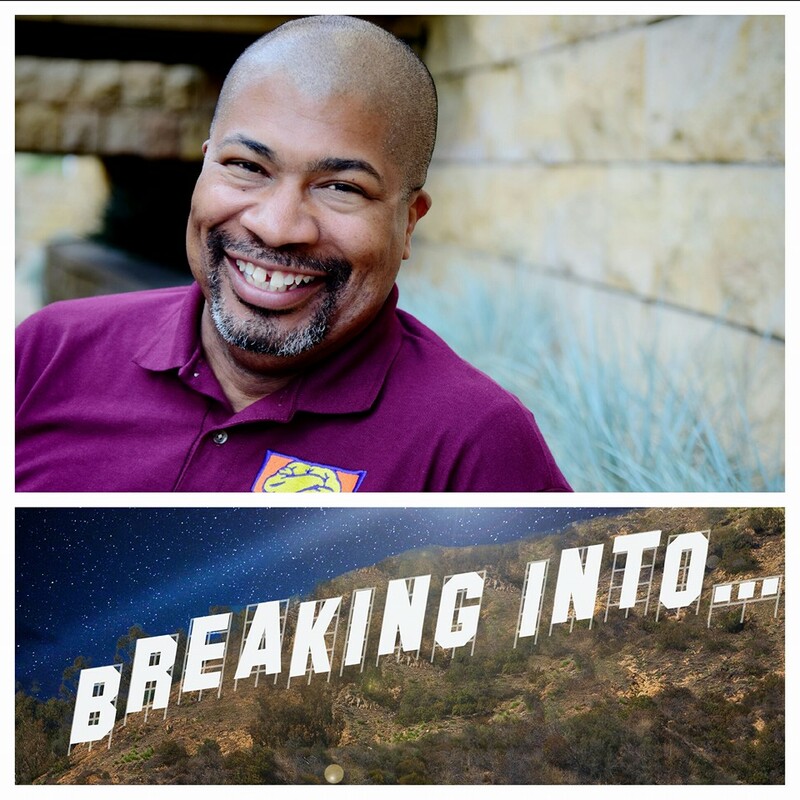 The show is called Breaking Into. I get to talk to people in the Entertainment Industry (all aspects)! It works with MY brand of sharing knowledge and ideas with everyone! I have some REALLY good guests lined up already.In the last week or so, it’s been filled with bookings and all that entails. Coordinating schedules! I am so excited for this 30 minutes show that debuts Thursday, Nov. 5th at 5pm PST/8pm EST!! I am also the “VOICE” of a new radio program/podcast!! Radio Millenial!!! 3 friends (including my buddy Cameron Louis) have a fun show that tackles all kinds of subjects that are on the minds of young people and its funny too! Here is a link to an episode. AND at the beginning/opening theme of the show…you will hear a familiar voice…. THE show that I BROUGHT to Afterbuzztv, THE GH Report is now a MONTH old!! We have 4 shows under out belt! Ladine Harvey, Lacretia Lyon, and Frank Moran and I have debuted and are clicking right along! The fans are coming to us and have been supportive! AND we have secured our first guest, GH Actor Robert Palmer Watkins who plays Dillon. He will be on NOV 8th! PLEASE check out and LIKE our Facebook Page, the GH Report! Again I live in Gratitude everyday for the opportunities!!! Fall is here! Today begins October! This begins one of my favorite times of the year! I’m feeling inspired to create! I think i’ll be picking up the paint brush again! What does fall do for you? Will you be creative?